1What Happened to WholeCellar LLC? 5.4Why are the names so similar? First, let’s make it clear that WholeCellar LLC, a company based at 2244 Main Street Suite #9, Chula Vista, CA 91911, website Whole-Cellar.com, is not the same as WholeCellar.com. For more information see the notes at the bottom of this post. At least five wine cellar dealers have been hit with significant losses as WholeCellar LLC failed to deliver on their product orders in December 2013 & January 2014. As far as we know, all five dealers have been able to find alternative sources for the products that they had on order with the company. The only negative impact to end clients may have been some delays in shipping. If you know different, please let us know, contact details at the bottom of this post. The WholeCellar LLC’s manufacturing plant has been closed and they tell us they have notified their dealers that they can no longer fulfill all existing orders or accept new orders. This is sad times for the industry as WholeCellar LLC’s products were many and varied and of great quality. It is also bad news for the people in a company when a business fails and certainly bad news for the all the dealers who have incurred financial losses as a consequence. We have been unable at this time to get any further comment beyond the information above directly from the manufacturer. The custom wine cellar and wine racking markets for both the commercial and residential sectors, continues to appear buoyant with most local wine cellar builders reporting record quarters in Q4 2013. IronWine Cellars & Furniture have apparently stepped in and in many cases we are told, have been able to quickly create and deliver the outstanding products previously ordered from Whole-Cellar.com. 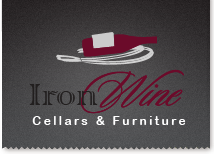 IronWine are a high quality wine rack and custom cellar racking manufacturer based in California with manufacturing in Mexico. It seems that for every failure there is a silver lining for someone. As a result of WholeCellar LLC demise, IronWine have seen a significant upswing in business. “It’s sad to see a company fail but for us at IronWine we have been able to expand our operation based on this additional business. Although it’s been a bit of a scramble, as a number of orders were already overdue, we have been able to execute quickly to create identical products to keep our dealers and their clients happy. When you are in this business, cash flow, manufacturing efficiency and quality control are critical to business success.” Said Luis Vazquez of IronWine. “I’m frustrated and disappointed that the WholeCellar LLC manufacturer has failed, however I am grateful to IronWine for stepping in a picking up the deficit. As a result we have been able to look after our clients and insulate them from any consequences of WholeCellar LLC demise. So far, IronWine have demonstrated an even better level of service and quality build.” Commented Jerry Wilson of Coastal Custom Wine Cellars. As to what lead to the demise of WholeCellar LLC, we can only speculate. The inability of the company to manage its costs and cash flow when sales fluctuated would appear to be the most likely reason for its failure. A manufacturer to the trade of both commercial and retail wine racks and related products. The company was based in 2244 Main Street Suite #9, Chula Vista, CA 91911, with a manufacturing facility in Mexico. A manufacturing operation based in southern California and Mexico. Ironwine make use of innovative manufacturing processes to create a range of both wood and iron based wine racking solutions as well as furniture. They leverage their Mexico operation to create pre-designed and fully hand crafted custom products at highly competitive rates. Is an online magazine dedicated to providing quality content and market intelligence to buying customers and the trade. 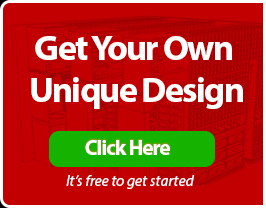 At WholeCellar.com we showcase many wine cellar dealers work and help to promote local builders who can demonstrate quality work and happy clients. WholeCellar.com is not affiliated with WholeCellar LLC in any way. In the early days of the WholeCellar LLC start-up there were negotiations for WholeCellar LLC to fund and develop the WholeCellar.com website as its marketing front end. Those negotiations failed to materialize into any substantive agreement. Since then WholeCellar.com has been developed as an independent website.